Flags Connections.com maintains its online presence, offering new Casket Flag Shadow Casess, flag cases, flag display boxes, flag frames, medal display cases, and many other military and flag-related accessories. FlagsConnections.com hopes their impressive online selection, combined with an intuitive, easy-to-use Web site will increase market share for Casket Flag Shadow Cases: flag cases, flag display boxes, flag frames, medal display cases, and other related items. With the combination of the highest-quality and best selection of Casket Flag Shadow Cases flag cases, flag display boxes, flag frames, flag and medal display cases, and many other patriotic items, and an increased Web presence, FlagsConnections.com win a broad customer base, both domestically and abroad. Not only does FlagsConnections.com offer Casket Flag Shadow Cases: A well-stocked supply the Casket Flag Shadow Cases We also offers a large variety of flag cases, flag display boxes, flag frame, flag and medal display cases, and other military-related items, As well as offers make custom made flag cases. 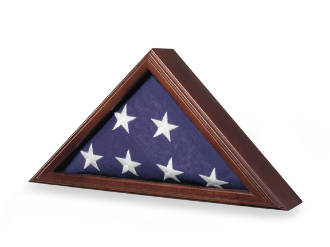 While many Casket Flag Shadow Cases and flag cases, flag display boxes, flag shadow boxes, medal display cases, and related items are being manufactured overseas, FlagsConnections.com is proud to offer products made in the USA. FlagsConnections.com commitment to only selling the highest quality Casket Flag Shadow Casess, American flag cases, flag displays, flag frames, medal display cases, and other patriotic items. Some are made of solid wood. FlagsConnections.com, is an online seller of Casket Flag Shadow Cases, flag display cases, flag display boxes, flag frames, medal display cases, and other military and patriotic items, of Deer Park, NY, is revolutionizing how both military personnel and civilians alike can shop online for flag cases, flag display boxes, flag frames, medal display cases, and related items.